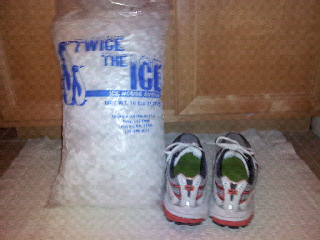 Coach Mary had a 12 mile run and an ice bath on my schedule today. I think the ice bath might hurt more. Buy some neoprene booties, if you keep your feet covered you can stay in the ice water longer, which I know you want to do. Smile!